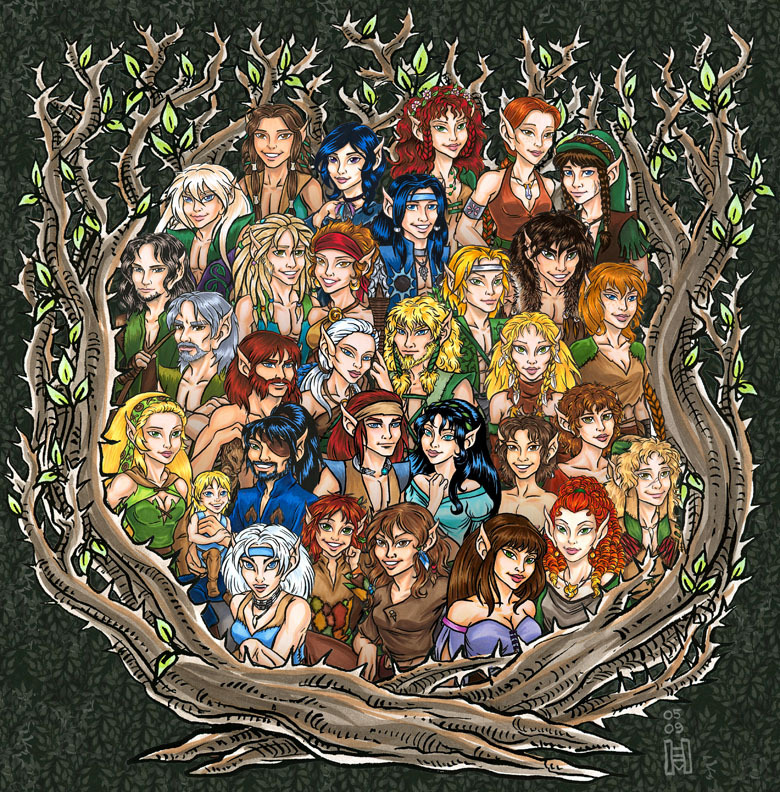 River Twine Holt is an alternate history ElfQuest fan club established in June 2006. 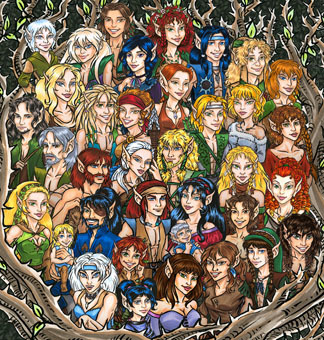 Were an old-fashioned 'zine style club, which means that our characters come alive not through play-by-post RP exchanges, but through the creation of stand-alone stories and artwork in a detailed, shared-world setting based on the ElfQuest graphic novels. Membership in our club comes in two varieties: Player Members adopt one of the existing wolfriders of our tribe (no new "wanderer" characters are accepted), gain full access to the club including messageboards, polls and events, and are expected to participate through the creation of stories, poetry, artwork, and other projects to fulfil a quarterly participation requirement. Reader Members enjoy expanded access to our messageboards and the ability to comment on art and fiction, but do not control a persona, and are only required to leave one comment per quarter. While guests may not comment on art and fiction and have only partial MB access, they are welcome to enjoy our artwork and fiction, and even to submit their own. For more information on how to join River Twine Holt, see the Joining Page. Disclaimer: Elfquest © 2006 Warp Graphics, Inc. Elfquest, its logos, characters, situations, all related indicia, and their distinctive likenesses are trademarks of Warp Graphics, Inc. All rights reserved. River Twine Holt will be on hiatus until July of 2017. However, we may be posting art or stories here during that time. If you have any questions, please email council@rivertwine.com. New art has been posted from Ingrid! New art has been posted from Linda and Chris! New story has been posted from Angie! New art has been posted from Afke and Ingrid!